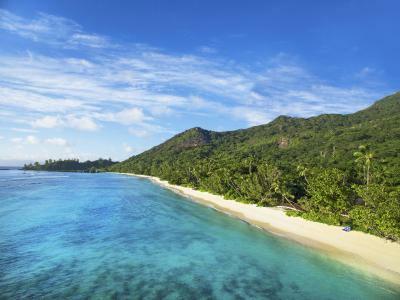 Lock in a great price for Hilton Seychelles Labriz Resort & Spa – rated 9 by recent guests! The rooms are very clean and tidy the services 5 stars and the staffs are very kind and friendly . 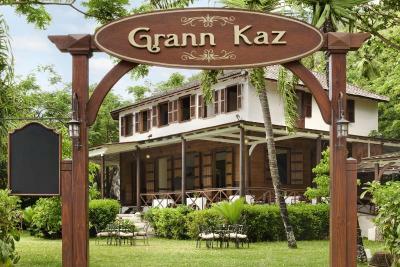 Amazing place and it's is managed very well..I only knew the name of one of the managers there(Simone) who took care of all the details to make our stay very pleasant but everbody there is professional. The only take is when u leave this tropical heaven and get back to the planet earth! Peace and quiet and location were first class. The spa is also amazing. The best holiday we’ve ever had. The staff were really wonderful and the service was fantastic. This is a really beautiful place to just relax! Our stay was just perfect. From the moment we reached the island, the staff welcomed us and told us about many details about the hotel, the facilities and the island. What made our stay unique is the staff and service, they are all friendly and very professional. My friend and I asked for an arabic mix grill which wasn't in the pool menu and they prepared it to us and it was really yummy, I would like to thank John Bosco, Sidah and chefs Lakshit and Tony for the great service and yummy food... I highly recommend the resort. 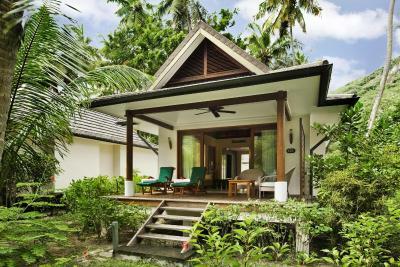 breakfast was great, beach front bungalows are spacious with huge bathroom and a private backyard pool. front porch tanning beds are very comfortable . Most of the staff speak english and they are very helpful and friendly. The resort was good but what make it great is our host Ms. Darya and I would like to say Thanks Darya for your hospitality, care and for making it a great experience. - Quit and relaxing place, away from people and cities. - Really nice and clean beach, advise to book a villa with an ocean view. - Good place for couples and families with kids. Beautiful property, recommend particularly the small houses with pool, either facing the sea or facing a stunning garden. The selection of food is good and products are very fresh. The service was very very good and staff very friendly with our little one. 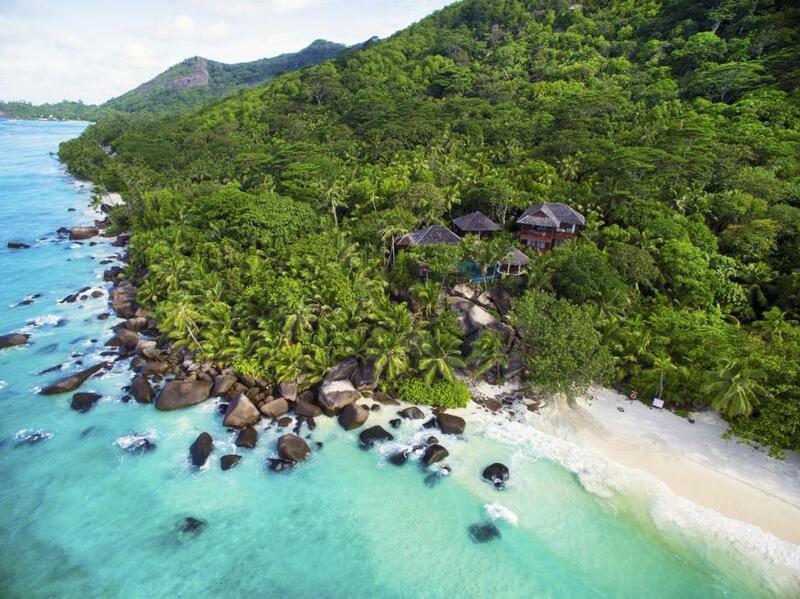 Hilton Seychelles Labriz Resort & Spa This rating is a reflection of how the property compares to the industry standard when it comes to price, facilities and services available. It's based on a self-evaluation by the property. Use this rating to help choose your stay! 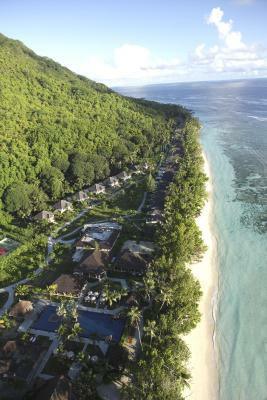 Located on Silhouette Island, Hilton Seychelles Labriz Resort & Spa offers spacious, fully-equipped villas with a private terrace. There is a full-service spa and an infinity pool set among tropical palm trees. Each villa features deluxe bedding and is fitted with a flat-screen TV, a DVD player and a sofa. Some rooms have an Indian Ocean view. 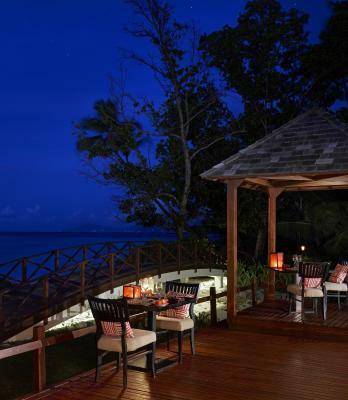 Hilton Seychelles features 7 restaurants and cafés serving Italian, Japanese and locally infused cuisine with a french twist in a sophisticated setting. Live entertainment shows and tropical cocktails can be enjoyed at Bar Lo Brizan. 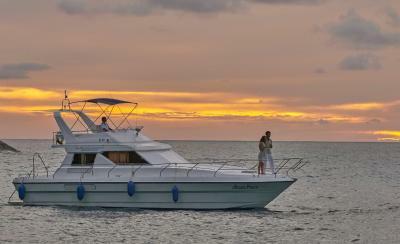 At Hilton Seychelles, guests can make use of the 5-star PADI diving center and explore the island’s colorful reefs. 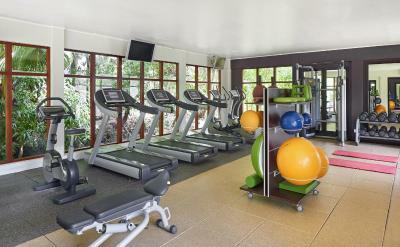 Set in a rocky terrain with lush vegetation, the hotel has numerous walking and hiking trails nearby. 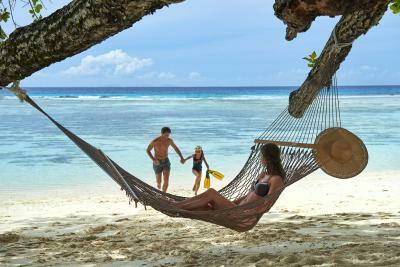 The Kid’s Club at the Hilton Seychelles is specially created for kids from 4 to 12 years old. Wedding and event facilities are also available. 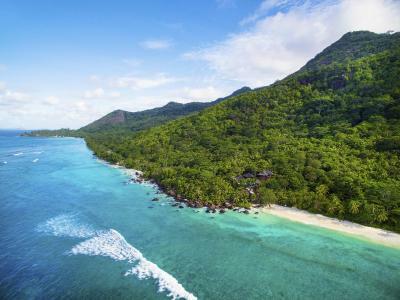 Hilton Seychelles Labriz Resort and Spa is 20 minutes’ drive from the pier where a 35-minute boat ride can take guests to Seychelles International Airport. An airport shuttle is available upon request at an additional charge. 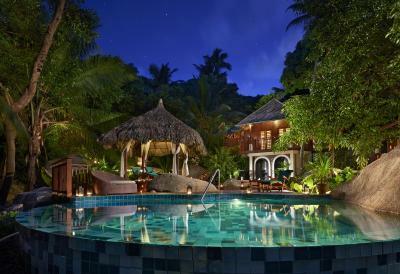 When would you like to stay at Hilton Seychelles Labriz Resort & Spa? This villa features a private deck with a cascading pool and an outdoor rain shower. 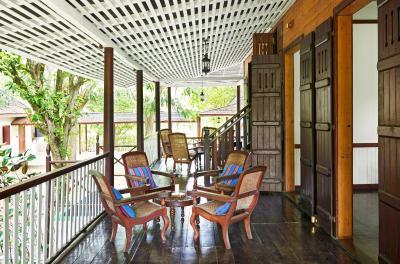 Each is air-conditioned and comes furnished with a separate dining and sitting area with a flat-screen TV and a sofa. The private bathrooms have a bathtub and shower with free toiletries. 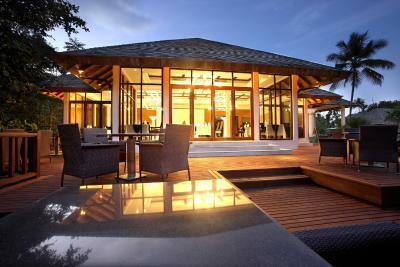 This villa has panoramic views of the Indian Ocean and an outdoor rain shower with sea views. Each is air-conditioned and features a separate dining and sitting area with a flat-screen TV and a sofa. The private bathrooms come equipped with a bathtub and shower with free toiletries. This villa boasts views of Mount Dauban and a private terrace with lounge chairs. 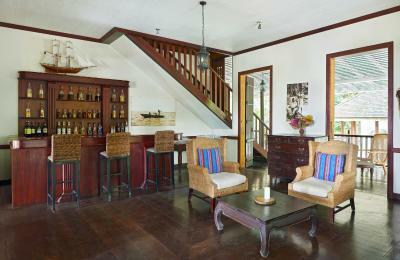 Each is air-conditioned and features a separate dining and sitting area with a flat-screen TV and a sofa. The private bathrooms come with a bathtub and shower with free toiletries. This Villa comes with private grounds with a cascading pool and an outdoor rain shower. Each is air-conditioned and features a separate dining and sitting area with a flat-screen TV and a sofa. This villa features a private plunge pool and a terrace with sun loungers. The private bathrooms come with a bath and shower with free toiletries. 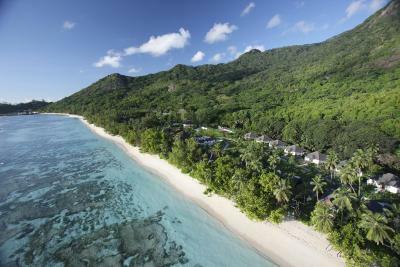 Escape to our unique piece of paradise on the white sandy beaches of the Indian Ocean. 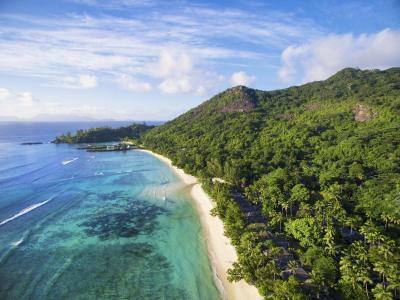 Hilton Seychelles Labriz Resort & Spa is the only resort on the third largest island in the Seychelles. Our secluded haven, nestled in lush mountains, is a nature lover’s dream. Hike through the rain forest or set out on a kayaking or diving adventure. Slip off to Silhouette Spa for a total relaxing and pampering experience. 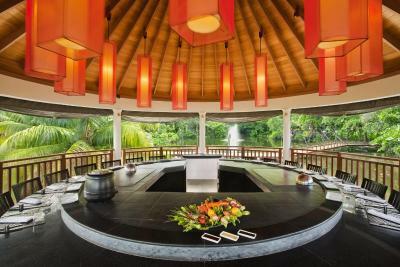 House Rules Hilton Seychelles Labriz Resort & Spa takes special requests – add in the next step! Hilton Seychelles Labriz Resort &amp; Spa accepts these cards and reserves the right to temporarily hold an amount prior to arrival. Hilton Seychelles Labriz Resort & Spa accepts these cards and reserves the right to temporarily hold an amount prior to arrival. Please note transfer services to Silhouette Island are mandatory and for an additional fee. 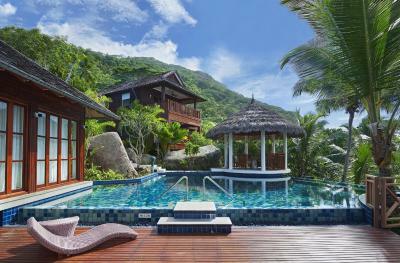 These services need to be booked with Hilton Seychelles Labriz Resort & Spa in advance. 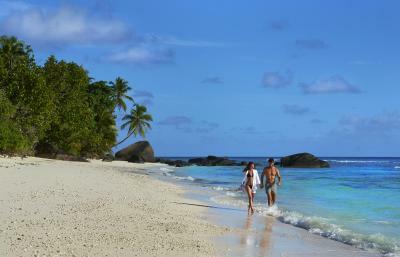 Hilton Seychelles Labriz Resort & Spa is located on Silhouette Island. The resort can be reached by a 20-minute drive from the airport, followed by a 40-minute boat ride to Omber Jetty. Alternatively, a 15-minute helicopter transfer can be arranged. The last helicopter transfer to the hotel departs from the International airport at 17:30. 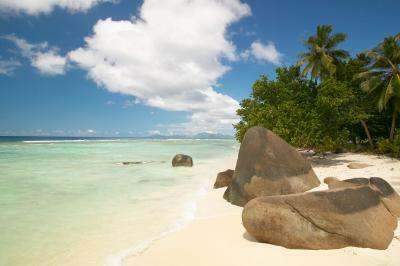 -Land Transfer: International Airport - Bel Omber Jetty (30 min drive) Private Transfer: EUR 69 per way – 4 Adult’s maximum. -Helicopter Transfer: Airport - Hilton Seychelles Labriz Resort & Spa, EUR 638 per helicopter per way, 4 people and luggage depending on overall weight. -The mandatory Christmas Eve gala dinner on 24 December 2019 costs EUR 185 per person for guests booked on Room Only and Bed & Breakfast rates, and EUR 150 per person for guests booked on Half Board and Full Board packages. -The mandatory New Year's Eve gala dinner on 31 December 2019 costs EUR 215 per person for guests booked on Room Only and Bed & Breakfast rates, and EUR 185 per person for guests booked on Half Board and Full Board packages. Hard to find something we did not like. Really a beautiful place and excellent hotel. On the day of our arrival, a street-food buffet was at the bar. Because of this other restaurants where closed, so we couldn't book dinner elsewhere. We ordered roomservice, so it wasn't a big deal, but I'm asked to write something here and this is the only thing I can think of. 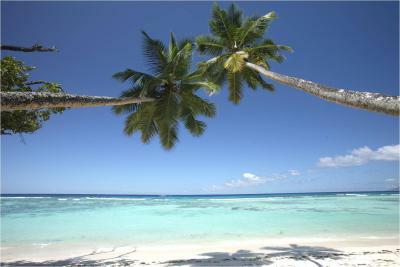 Very beautiful island with all accommodations you may expect from a Hilton resort. Staff is friendly, rooms are clean, all amenities are provided, excellent breakfast and very good diner options. This resort is everything you may expect from a Hilton Resort. It's not cheap, but it definitely delivers what is promised. It would be great to have bikes and snorkeling gear in each of the villas. The meals and excursions do add up so best to budget for spending quite a bit on extras. Silhouette island is an amazing location and the Hilton have build great villas and restaurants in an non-intrusive way in the area. The beaches are lovely, not the best for swimming as it can be quite shallow but lovely for a dip a chilling besides - not crowded and feels like you have the place to yourself. The restaurants we tried were great especially the fish beach bar. The service in all respects was amazing - everyone greets you with a smile and hello. The spa treatment I had was lovely, the waiting staff extremely attentive. It is expensive but quite worth it for a private island experience. Cheaper access could be given to Mahe Island, so that guests can explore the main island as well. 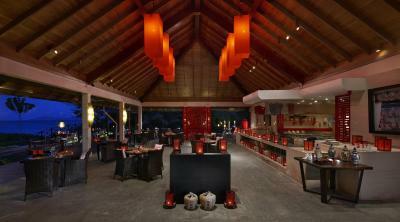 Excellent restaurants, great food, amazing staff! The food was far behind our expectation especially if you compare with the price. The beach front villa view and the beach was amazing. Facilities are simply old and not well taken care of. Sun beds on the pool and in the beach are dirty. Kids club is so boring so kids do not want to stay there as ladies are puting TV on and to nothing. Wifi very weak. The room is just amazing, bikes available to everyone, tenis court. I just loved the location . Spa is excellent! Also breakfast is unbeatable! Most of all you leave in the jungle and tropical forest and that is great experience. Pillows far too soft - zero head support. Food and drink cost at resort exorbitant, and charging a service fee on the ferry ride pathetic. Pizza - below average. Beautiful resort, luxury rooms & bathrooms. Crab houses for resident crabs cute. Great breakfast spread. One of the check out staff were terrible. She told me that my payment hadn't been processed and said she needed to charge again. I asked for proof the previous payment had been canceled (or not processed) and she couldn't provide. I then check with me bank and the payment had gone through. If I hadn't of refused she would have charged me twice for my whole stay! Facilities were amazing and the location being on a protected island was fantastic. One of the best beaches in the world! Great hotel for families with children. typically american - food, amentities, approach. all extremely overpriced and delivered in a way it should be like that. stayed in one of the highest category, had to wait for buggy for transfer, nothing NEVER comes in time - room service, buggies, services. hovewer expect high bills and some strange service charges. the boat transfer is charged extra - but there no other option to get to the hotel! they maybe expect guests to swim!!? boat transfer should be included in price for sure. although typically hilton - overpriced mediocre services. the only exception is place. Having to pay for the transfers from Mahe Island to Silhouette Island. It is the only resort there so makes sense for hotel to take care of this cost. Staff, amazing seafood restaurant (4 Degrees), proximity to beach from our room, breakfast was also amazing, away from everything so you get to relax. Room service also gave my partner and I a surprise by decorating our bathtub with rose petals at no cost (they said it is usually for honeymooners only). internet speed , buggy service , limited food items for veg. , expensive transport from airport to hotel . The hotel is in island, when you book the room in hotel they have to explain about all info about hotel before making reservation . We found airport transfer cost after booking and we did not had other choice for transport because hotel was in island !!!!! It's main negative point about this hotel .